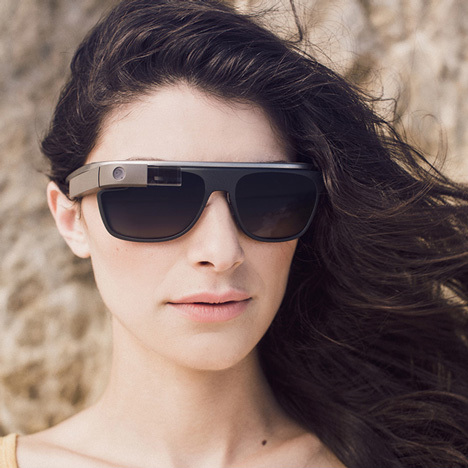 News: tech giant Google and eyewear company Luxottica have announced a partnership to develop Google Glass wearable headsets into consumer-friendly products. "We have come to a point where we now have both a technology push and a consumer pull for wearable technology products and applications," said Luxottica CEO Andrea Guerra. Google Glass lets users send and receive messages, take pictures and search the web hands-free - this collaboration will put this technology in the hands of designers at Luxottica, which produces eyewear for brands including Ray-Ban and Oakley. "We live in a world where technological innovation has dramatically changed the way in which we communicate and interact in everything that we do," said Guerra. Recently a Google Glass user was attacked in a San Francisco bar for wearing the device. Earlier this year the tech giant unveiled four designs for Google Glass frames to hold prescription lenses (main image).